Granada's Federico Garcia Lorca airport is located near the small town of Santa fe about 15km (9 miles) from the city of Granada via the main A92 motorway. The journey time is about 20 minutes by car and 30 minutes by bus. 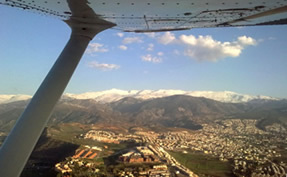 The airport is also a short drive from the Sierra Nevada ski resort which is the southernmost ski resort in Europe and within easy reach of the Granada regions coastal resort towns on the "Costa tropical" such as Almuñecar, Motril and Salobreña. Passenger numbers have increased significantly over recent years with around 1.5 million passengers using the airport each year. The airport has one terminal building which has one level with departures at one end and arrivals at the other. Though not as busy as Alicante or Malaga airport, Granada airport does offer direct flights to many destinations in Spain and all over Europe. Airlines like Ryanair, Monarch, Air Europa, Air Nostrum, Iberia and Vueling fly from Granada to places like London, Birmingham, Frankfurt, Milan, Madrid and Barcelona. For flying to Granada from the U.K Ryanair now have regular cheap flights from Liverpool, East midlands and Stansted. Some of the industry’s most well known names have offices at the airport including Avis, Europcar, Goldcar, Hertz and Aurigacrown. They are located on the left as you leave the arrivals terminal. Hiring a car is surely the best way of getting around the Granada area as there are many places than can’t be reached easily by public transport and a hire car offers you freedom from times and schedules. The airport is about 17 km outside the city of Granada and only about an hour from the coast at Almuñecar. A taxi into the city will cost you about 25 Euros and should take about 20 minutes. If you wish to visit the Alhambra the fare is about 28 Euros and a taxi to the Sierra Nevada ski resort will be about 70 Euros (10 Euros more if there is snow on the roads). The taxi rank is just outside the arrivals area and you can call 606 052 925 for more information. 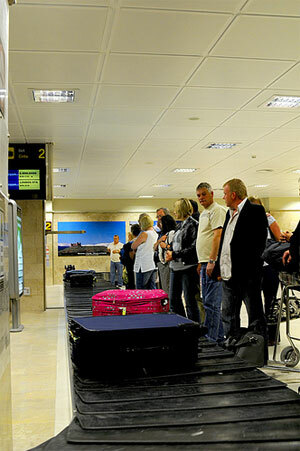 In order to avoid queues and a poor service, we recommend you to pre-book a transfer from Granada airport with us. There is a regular bus service connecting the airport to the city centre. It leaves from the arrivals bust stop and costs 3 Euros. The 40 minute journey has stops at the bus station, La caleta, jardines del triunfo, Gran via, the cathedral, Puerta real and the congress centre.The buses leave from the airport every hour. 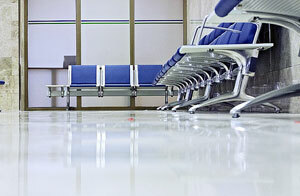 If you are travelling to Jaen you can get a bus from Granada airport to the Jaen bus station. The trip takes about 2 hours and costs about 8.60 Euros. The main airport car-park is located just outside the terminal building and has space for 450 cars. The prices are 40 centimos for up to 30 minutes,90 centimos for up to an hour and 10.75 Euros for a day. There are also some long term car parks run by private companies and costing about 7 Euros a day with a free shuttle bus service to and from the car-park. Within the Airport you will find three ATM machines and a small post office. Also there is a shop selling wines, foods and magazines etc and a couple of coffee bars. The airport has one VIP lounge with internet connection. 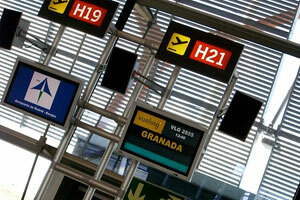 To find further information about flights and statistics, visit Granada airport official website.